Women are used to spending lots of money on products that purport to make them more beautiful, younger, slimmer etc. 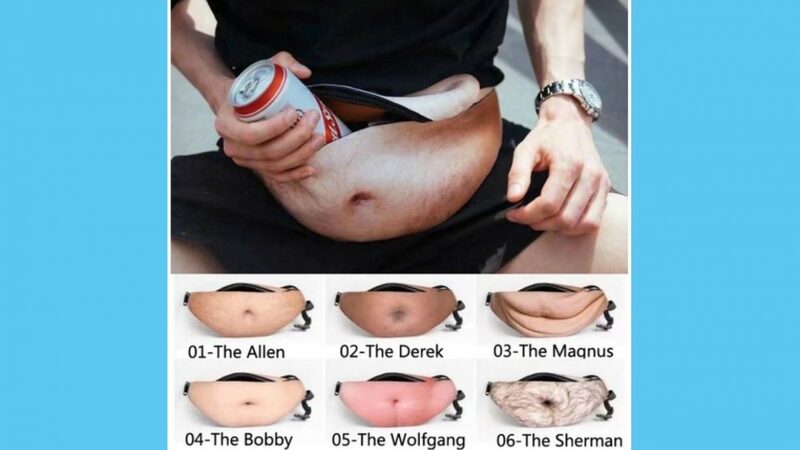 There is an established and growing market for similar products for men. 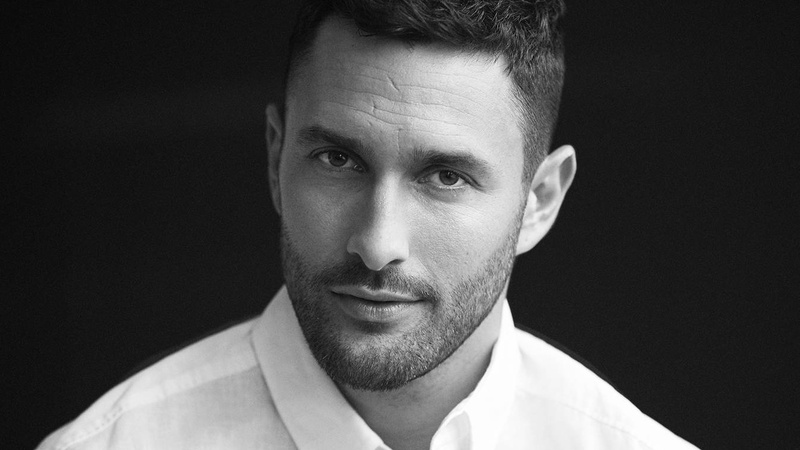 High street brands have developed lines for men and they are selling well as men become more comfortable with the idea of grooming involving more than soap. At the top end of the market, it is no different from the female market. If you want the product that the stars swear by, that promises to take ten years off your life or make you irresistible to women (or men), the price tag reflects that. If your man is fastidious about keeping clean shaven, this could be the present for him. 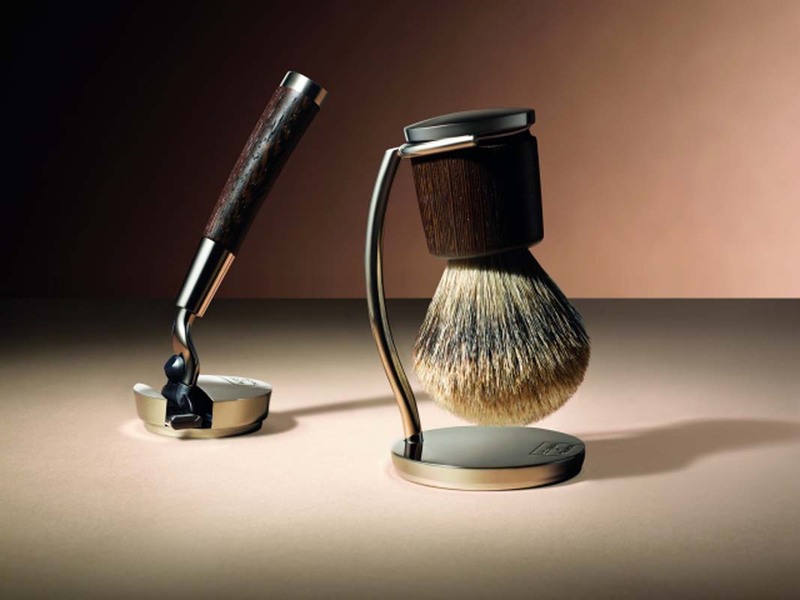 The brush and razor set come with its own steel stand to give it pride of place in the bathroom. The razor has a handle made from burnished bronze and wenge wood to match that of the brush, which of course has the highest quality bristles. The company describes its items as full of ‘quintissential Italian style’ and the muted tones of its packaging reflect this. It has a look of effortless class and refinement and certainly gives off an impression of a well-groomed man. However, whether or not £428 is worth that image is another matter. Surely, it’s what’s under the skin that counts? Acqua di Parma projects itself as merging tradition with modernity, which is a sentiment some men may aspire to, but it is possible to achieve that without spending ridiculous amounts on a razor! That said, what a beautiful gift it would be for the man who has everything and how special they would feel to have such an item adorning their wash stand. This would surely make a man feel truly special. 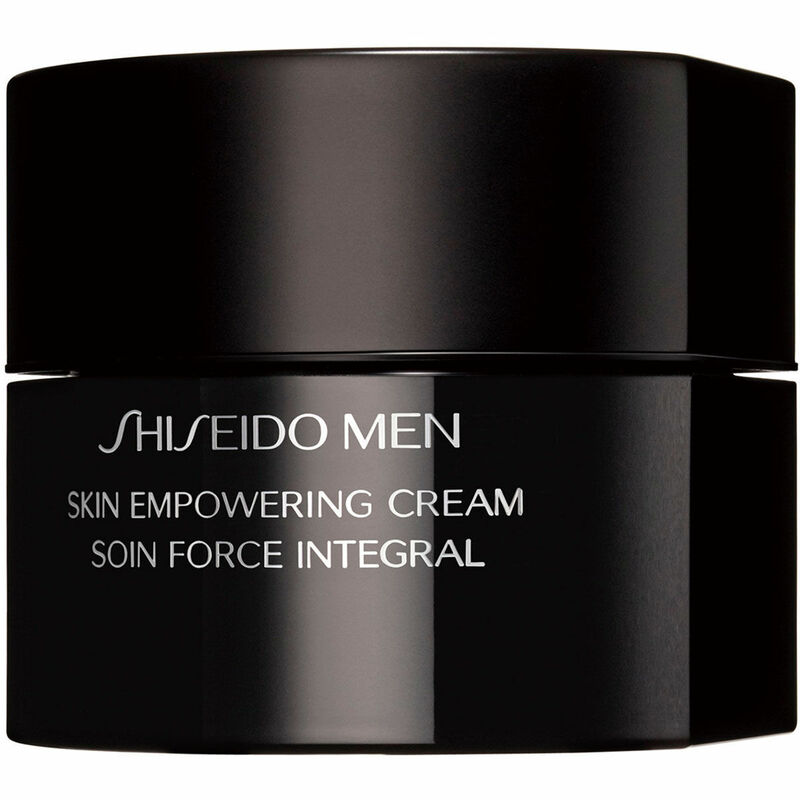 This product claims to be the ultimate all round anti-aging product for men. It will resist the harmful effects of daily living, such as stress, pollution, and shaving. Not only that, but it will firm skin and correct wrinkles as well and protect against shaving burn and skin fatigue. When it is applied it soothes the skin, as well as hydrating it and leaving it soft. It contains lovely plant extracts, such as wild pansy and shea butter. 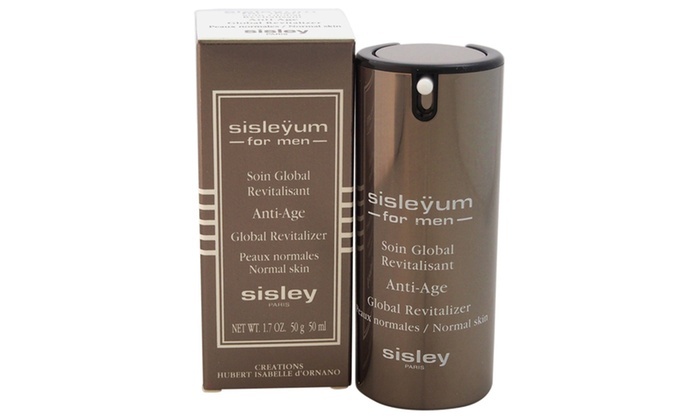 Sisley says that a man’s skin will look fresher and less tired after using the revitalizer because of the oligo-elements in the product. The skin is firmed as a result of the natural products in the cream. There are alkekengi calyx, white willow and padina pavonica contained within which are the magic ingredients. There are two versions of the revitalizer available, dependent on the skin type, a gel texture for normal skin and a creamier texture for dry skin. It seems that the product offers immediate relief from razor burn and hydrates and comforts sore skin. The product will build up the quality of the skin, leaving it revitalized, toned, and, what everyone wants, more youthful. 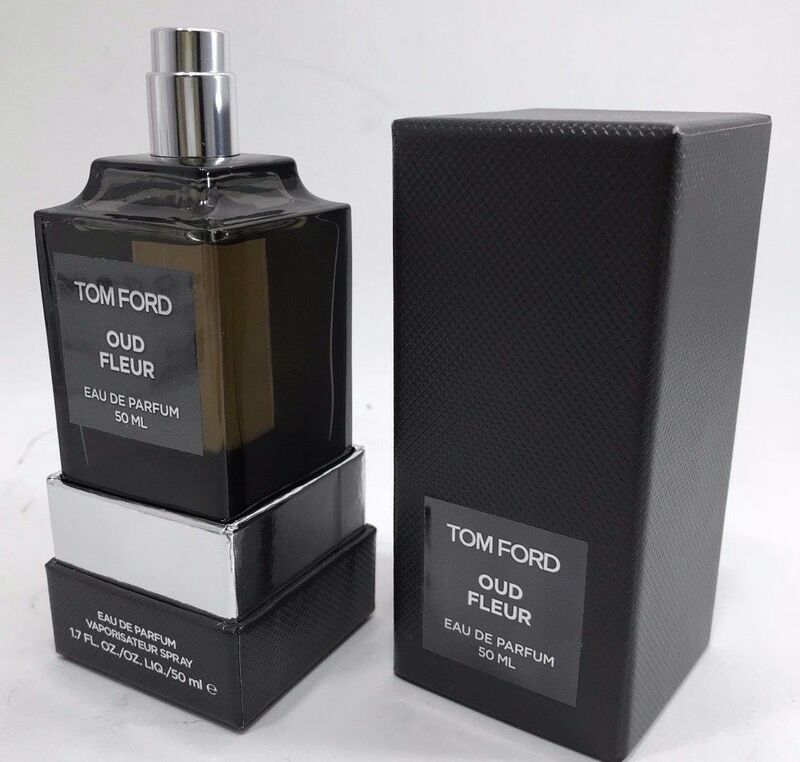 Tom Ford loves leather and this inspired his creation of this super expensive eau de parfum for men. Presumably, he also loves Italy as he chose Tuscan leather as his inspiration for the fragrance. It contains a blend of luxury components which combine to evoke the scent of leather. These include olibanum, amber wood and night blooming jasmine which give the fragrance a sophisticated aroma. Its main undertone is a scent of leather with hints of something animal and top notes of sweetness, perfect for an alluring men’s fragrance. Tom Ford created twelve private blends in this collection, and if your bank balance stretches to it, you can upgrade from the 70ml to the 250ml bottle. He claims that he designs his fragrances with a ‘true connoisseur’ in mind and that the private collection allows him the luxury of going off-piste with scents that don’t have to cater to a mass market. It also contains saffron, raspberry, and thyme which give off the sweet scents. It comes in a beautiful bottle which looks like an old-fashioned apothecary jar and has lovely gold labelling which adds to the refined image. So, this product claims to be the ultimate after shaving moisturizer to revitalize and rejuvenate a man’s skin. It will deal with irritation, dryness, and sensitivity which comes as a result of shaving. As an extra bonus, the company says it is perfect for refreshing skin after a long-haul flight. It is suitable for all types of skin and absorbs easily without being greasy, which can be a problem in some moisturizing products. It gives a comforting, refreshing feel to the skin, leaving it feeling calmed and combatting the signs of skin stress. Apart from relieving the after effects of shaving, it also provides long-lasting hydration and because of the SPF 20 contained within, it helps to prevent the harmful effects of sun damage from UV rays. The moisturizer also claims to work deep within the cells to prevent wrinkle formation and to build up a skin’s resistance which will ultimately make it less prone to sensitivity. Along with all that, it lasts for up to twelve hours at a time, according to the company NuBo, which is just as well as there are only 30ml in each bottle! 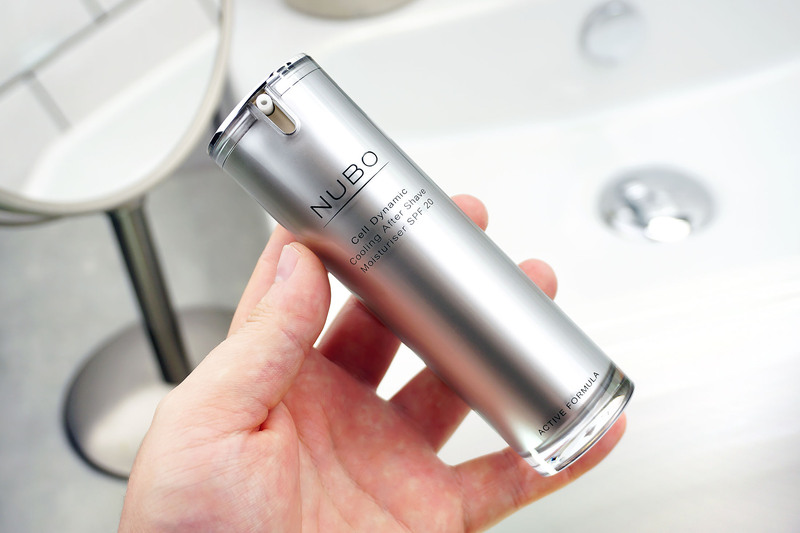 To add to the collection, Nubo also sells a Dynamic Cell Essence for £200. The hefty price tag on this cream may be because it is an anti-aging product which makes alluring promises. It will make skin look radiant, and appear toned and smooth, so the manufacturers say. Not only that, but apparently, with regular use of the cream, the skin will be more resistant to signs of aging and damage. Apparently, the cream will also reduce the typical signs of aging such as wrinkles and will work well on the eye area and on the facial contours. It will give healthier looking skin with less rough areas and exposed open pores. Shiseido says it will last for 24 hours and reinforces that it is easily absorbed into the skin without that greasy feel that is so unpleasant. It suits all skin types and is best applied after shaving or cleansing. Confusingly, whilst it claims to last 24 hours, the manufacturer recommends that it be applied twice a day! It won’t take long to get through a 50ml tub of this cream at that rate, especially as it advises that the cream is spread over the whole face. It could be an expensive habit to get into. This cream comes at a price, from the king of skincare, Dr Perricone MD. It makes bold claims, and many famous faces look so good because they believe those claims. 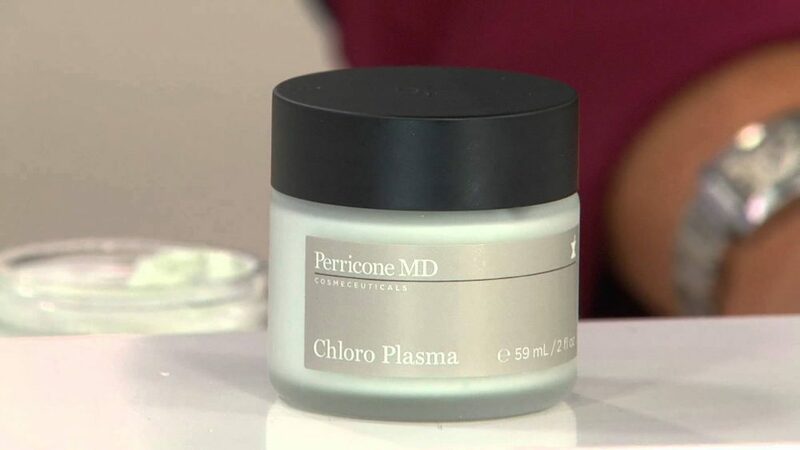 The cold plasma formula has won awards for its effectiveness and its ingenuity from the inimitable Dr Perricone. He has designed some amazing products using his own selection of ingredients, combined to make revolutionary products. The cold plasma anti-aging cream targets all the worrisome signs of aging such as lines, redness, uneven tone in the skin and of course, lines and wrinkles, so says his website Perriconemd. Dr Perricone believes that this product dramatically improves the appearance of skin and make it look years younger. One of these magic components is DMAE, which not only targets wrinkles but saggy skin too. At a cost of $155 for 1fl let’s hope the cream lives up to its claims. Wearers are promised a radiant, natural glow, and as the cream is suitable for men and women, the girls can borrow this too! If you are feeling super flush, there is a cold plasma for the eyes and one for the neck and chest as well. Now, this comb is neither diamond encrusted nor gold plated, nor does it promise to grow back lustrous hair where hair loss is present. Hence it is somewhat hard to conjure a reason why a comb would come with a $75 price tag. Of course, the manufacturers remind us that the comb has been handmade in Italy and has a chunkier handle so it is easy to grip. It is an attractive looking piece, made from Italian acetate and contains flecks of grey and white which give an appearance of marble. It is sold with a suede case and as the advertising reminds us, will easily slip into a pocket or briefcase! Hardly a unique feature but still! 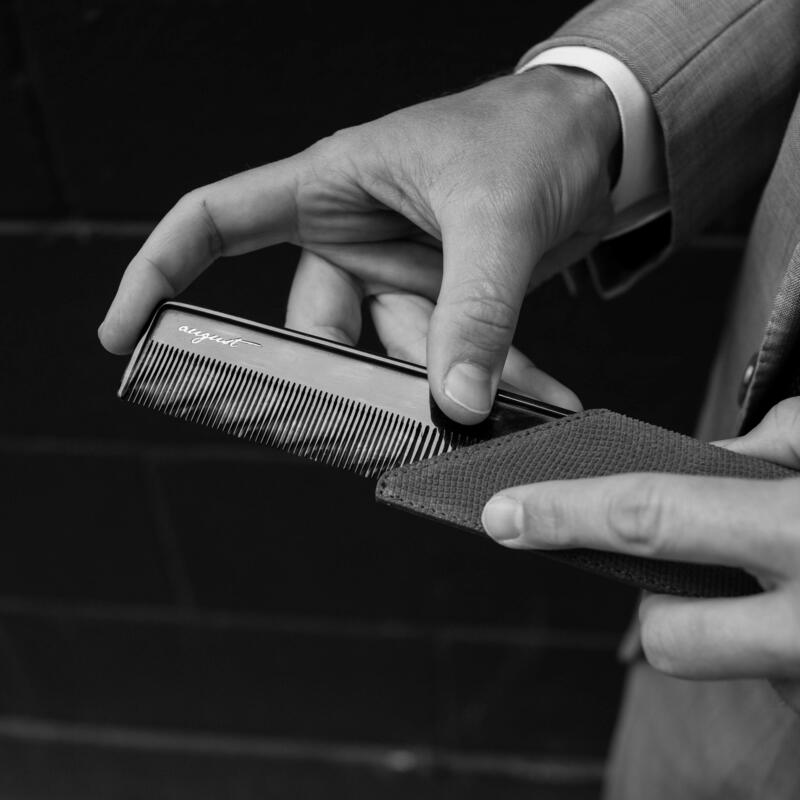 Each comb is one of a kind because of the markings in the acetate, so at least you can have the satisfaction of knowing that you have the only comb like it in the world, according to Harvey Nichols. It does come in a variety of colors, ranging from midnight black, through to blue and caramel colors. It is branded as a luxury comb which gives superior hair combing, oh, and there is a smaller size too for traveling, in case you can’t fit the larger one in your suitcase! This exfoliator is of course, according to the company, much more than an exfoliator! They would hardly charge so much if it were that simple. It penetrates much deeper than a normal exfoliator, more akin to the microdermabrasion that one might get from a spa. This helps to get rid of dry looking, dull skin and discoloration, so helps achieve a younger looking skin. It gives a polished feel to the skin, dead skin cells are removed and the product claims to aid the absorption of other beauty treatments. Apparently, this method makes skin look younger and reduces lines on the surface. It is also fragrance-free, so the high price is not due to expensive perfumes! 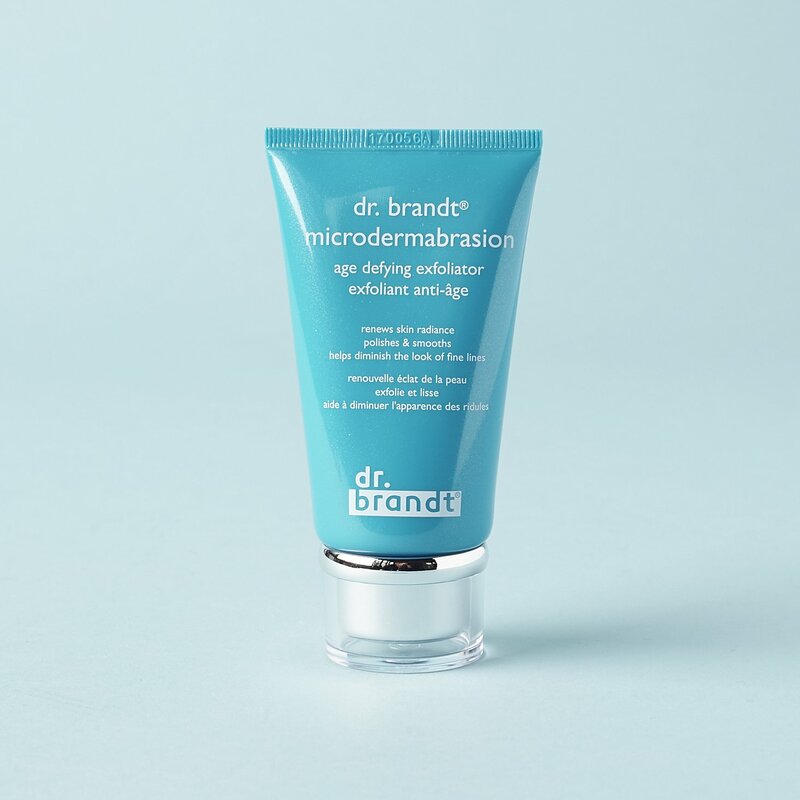 Dr Brandt offers products which claim to change a person’s skin through their scientific research and Dr Brandt himself is portrayed as a trailblazer in terms of research and discovery. The company does put a lot of time, effort and money into researching ways to improve skin care and works closely with top dermatologists and academics. The collaboration between university academics, industry experts and product development puts the company in a class of its own, according to the company’s information. 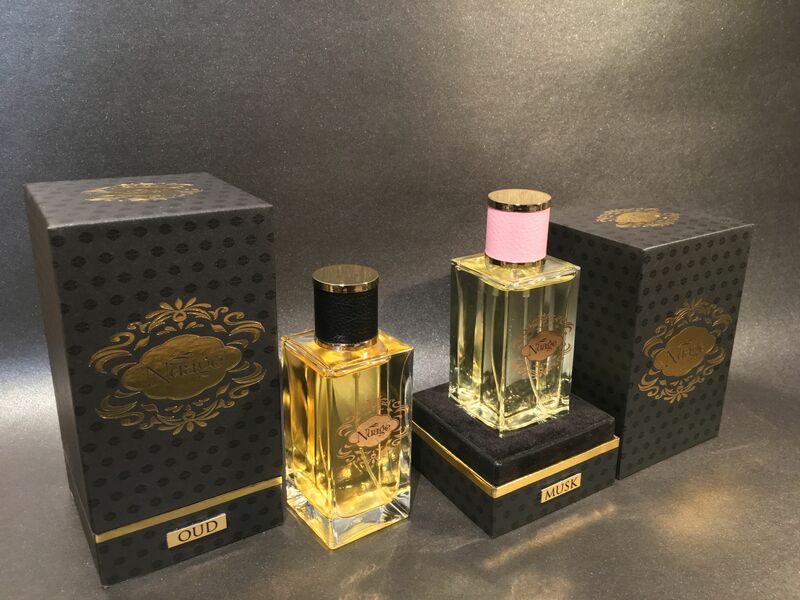 This eau de parfum comes in beautiful ornate packaging, and so it should for a 50ml bottle at £450. The No 1 fragrance is described as a homage to the east. It contains floral and fruity top notes with base notes in floral scents including rose and jasmine. In fact, there are 222 ingredients present in this crafted bottle of loveliness. The company promotes itself as a purveyor of luxury British perfumes and has the ambition of creating the world’s finest perfumes. It has developed from the Crown Perfumery Company which was established during the reign of Queen Victoria and is the only perfume house granted permission to use her crown on its products. Clive Christian purchased the company and makes his perfumes under its banner, having previously worked as a kitchen and furniture designer! There is no doubt that time, effort, skill and an awful lot of flowers go into the beautifully crafted perfumes which all contain 20-25% of pure perfume. Clever marketing suggests that Clive Christian perfumes are the choice of the man with the ‘finest’ tastes. He needs to have the finest bank balance as well of course. The inspiration for this balm is the fresh, crisp cleansing air of the alpine regions. It has hints of citrus and blackcurrant along with bergamot, sandalwood, and musk. 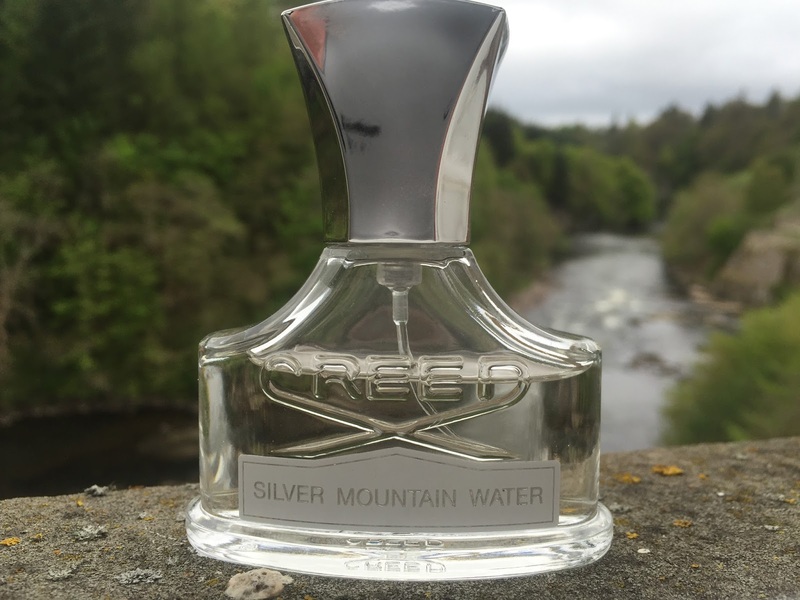 The Creed family is a business which knows its perfume and has been working in the perfume industry since 1760. Seven generations of ‘noses’ have gone into the creation of their scents as well as traditional methods of perfume creation. They use an infusion method and techniques which are time sensitive but lead to products which are, in their opinion, true perfection. This no doubt attests to the price tag. This balm offers a soothing treatment for post-shaven skin, leaving it refreshes and smelling of alpine mountains! The products certainly look the part. The packaging has a traditional feel with elements of modernity in the silver decoration. No doubt every one of them smells delightful and is a pleasure to have in the bathroom and to use. With deodorants that retail at $75 and aftershave that comes in at over $400, these products are not for the average gentleman.